The WHLAXLE5I axle is a FLANGE style axle made of 4130 steel. This axle has a 0.75 inch diameter bearing surface. The axle has the 43mm x 24mm bolt pattern as used on the Tecnam aircraft. 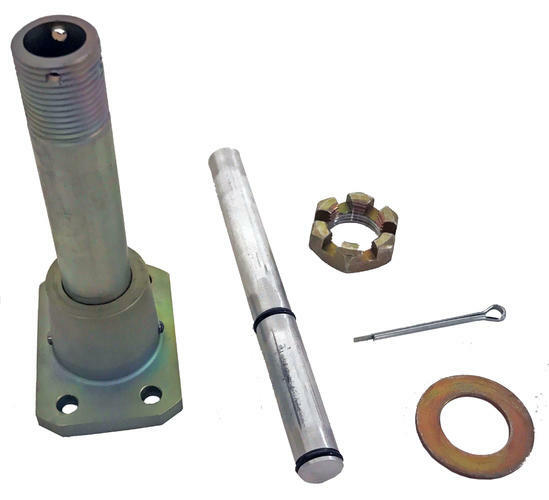 This axle assembly comes with the 0.75 slotted hexnut, cotterpin, and washer. There is a center support rod for supporting the wheel pant that is positioned by the user and secured witht he axle nut cotter pin. MATCO mfg axles that are aluminum are black anodized and steel axles are yellow zinc.